Acer has officially launched the Liquid Z530 and Z630s smartphones today in India priced at Rs 6,999 and Rs 10,999 respectively. 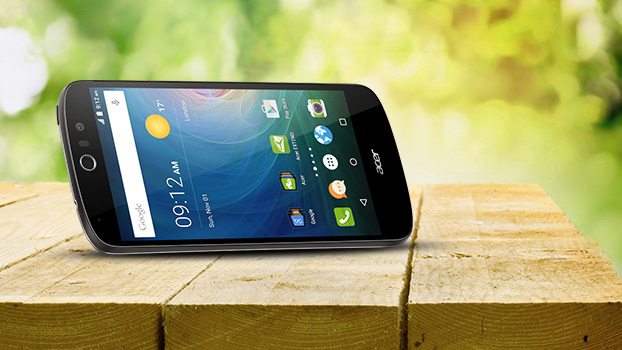 The new smartphones mark Acer’s comeback in the budget smartphone space. The Z630 is the larger of the two, sporting a 5.5-inch display, 1.3 GHz quadcore processor, 2 GB of RAM and front- and rear-facing 8-megapixel cameras. The phones comes with a long-lasting 4000 mAh battery which packs enough juice to last an entire day. The S edition bumps up both the RAM and storage on the phone. The Z530, meanwhile, sports a 5-inch display and a mere 1 GB of RAM whereas the Z530S raises the RAM game to 3 GB and storage upto 32 GB. Both the smartphones run Android 5.1 Lollipop with Liquid UI alongside with supporting dual-SIM smartphones with 4G LTE bands in India and will be initially available exclusively for Indian consumers. Watch the video here as Nawab Manners Ali teaches us the etiquettes of using smartphones with his Tehzeeb tameez ki baatein. The devices can be purchased exclusively on Flipkart. While Z530 will be available starting tonight, Z630s will be available only on November 12. The registration for Z630s has already begun and will close on November 11.